Consider a young man who strongly believes in the principle of solidarity. His allegiance to this principle thus far has led him to value loyalty—he applies his principle of loving one’s neighbor especially in instances in which that “neighbor“ is someone with whom he has built a particularly close relationship. One night, his father comes home sweaty and panicked, and he asks his son to wash his car that evening. The son obliges, and notices some scrapes and marks on the car’s bumper. The next morning, the police come to the door questioning the son about his father’s possible involvement in a fatal hit-and-run. Does the son’s devotion to the principle of solidarity allow him to tell the truth and bring justice for the unknown victim? Or does the son’s value of loyalty prevent him from speaking in order to protect his father? To say that this young man will make a choice is obvious. He has two options available and through acting he will accept one option and decline the other. A choice is free when we make a decision, similar to the young man, between two or more possible alternatives (Bok). Hannah Arendt, in her essay “What is Freedom?” remarks, “Will, as seen as a distinct and separate human faculty, follows judgment” (150). Thus, in order for a decision to be freely willed, it must be the result of judgment. Arendt asserts that freely willed actions “spring” from principles (150). She defines a principle as “an action” that “can repeated time and time again, it is inexhaustible” (150). As opposed to a motive or goal, “the validity of a principle is universal, it is not bound to any particular person or group” (Arendt 151). Since principles are universal, they “do not come from within the self” (Arendt 150). Principles cannot be owned or internalized; they are “fully manifest only in the performing act itself.” (Arendt 150-151). Principles are not tied to one set of circumstances; they transcend those particulars and depend “upon the changing circumstances of the world” (150). Since principles are external ideas, we cannot apply a principle as the aim of our action without “judgment” (150). Actualizing a principle requires that we first use the process of judgment—or contemplation—to determine how this “universal” principle can be applied to a certain situation. The will moves us from thoughtful deliberation to action. Accordingly, freely willed actions are those in which we apply our own set of principles to particular circumstances through the process of judgment. Creon enters the play asserting his absolute authority and belief in the importance of a secure public sphere. Creon’s first speech in Antigone emphasizes his desire to maintain the safety of Thebes, demonstrating his allegiance to the principle of maintaining the wellbeing of the public sphere. 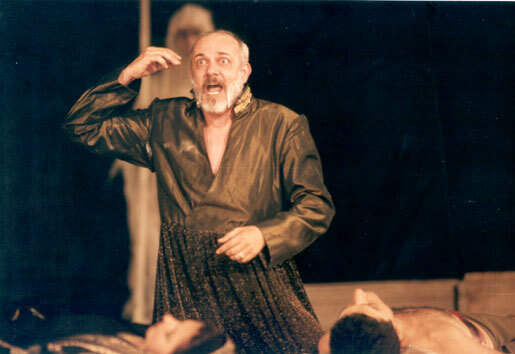 Creon enters the play stating, “the ship of state is safe” and tells the tale of how he came to “possess the throne and all its powers” (180-193). As the new king of a wanton city-state still recovering from civil war, Creon recognizes that Thebes—like a ship just exiting a storm—is momentarily safe but still reeling from the chaos of the “storm.” Creon goes on to say that you cannot judge a man’s “principles” or “sense of judgment” until he has “shown his colors” through actions (194-197). In accordance with Arendt, Creon believes that we can only bring external principles into reality by first practicing judgment, then acting. Creon sternly decries, “whoever places a friend above the good of his own country, he is nothing” and asks the audience to remember, “our country is our safety” (204-211). Creon asserts that maintaining security is a priority for his kingdom. Since his goal is the safety of Thebes, he loathes traitors, highlighted in his orders regarding the two sons of Oedipus. He proclaims, “Eteocles, who died fighting for Thebes, excelling all in arms: he shall be buried, crowned with a hero’s honors” (218-220). By contrast, Creon offers a “proclamation” that the city must not “dignify” Polynices “with burial” (227-228). Polynices fought on the losing side in the civil war, and Creon decides to punish his treachery by leaving his “corpse carrion for the birds and dogs to tear, an obscenity for the citizens to behold!” (229-231). Creon’s condemnation of Polynices serves as an extreme threat, indicating that he will severely punish those who are disloyal. Creon finishes with affirming his extreme insistence on patriotism to the state: “These are my principles. Never at my hands will the traitor be honored above the patriot. But whoever proves his loyalty to the state—I’ll prize that man in death as well as life” (233-236). Creon is firm and resolute; loyalty to Thebes is a requirement for the citizens under his reign because he wants to secure the state. He makes it his goal to re-establish order and maintain the sovereignty of Thebes at all costs. Creon believes that he is acting in the interests of state in his desire to maintain a secure and unified nation. This focus on the wellbeing of Thebes represents the principle of securing the wellbeing of the public sphere, because Creon hopes to ensure a stable environment for his citizens. Thus, Creon believes that his condemnation of disloyalty to the state will allow for a healthy, thriving public sphere. This speech is an example of Creon’s judgment—and therefore free will—because Creon turns his principles into actions after considering the situation, his options, and his duties seriously. He applies the principle of wellbeing of the public sphere to the particular instance of Polynices’ death. This application is an example of judgment because he contemplated both principles and particulars. 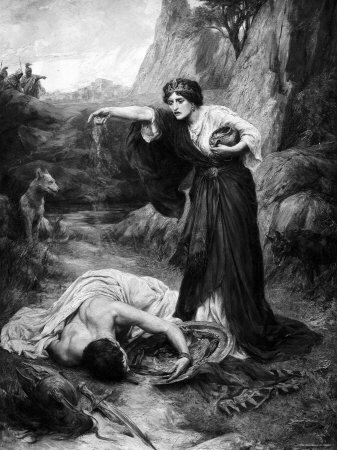 However, Antigone is not a testament to Creon’s outstanding character, but rather a tragedy in which “Creon shows the world that of all the ills afflicting men the worst is lack of judgment” (Antigone 1372-1373). How does Creon fall from an example of good judgment to the epitome of its lack? (46). This sort of absolute adherence to a set of values is an example of a lack of judgment, as “the serious man puts nothing into question” (Beauvoir 49). Principles are abstract and externalized. When we attempt to rigidly adhere to a principle, no matter the circumstance, we run into obvious practical dilemmas. We can resolve these practical dilemmas by practicing discernment—the process of judgment, or justly and reasonably applying our principles to the subject at hand by questioning our opinions through the consideration of others’ opinions. Alternatively, we can also resolve these practical dilemmas by internalizing the principles and transforming them into uncompromising values. Beauvoir writes the serious man often “makes himself a tyrant…. He ignores the value of subjectivity and the freedom of others” (49). When we follow our initial choices without question, we fall into the trap of tyranny and thoughtlessness. Judgment requires consideration of the views of others. In contrast, strictly applying a value without any consideration of context requires no choice, only an obedience that is contrary to free will. Creon’s failure in judgment is the result of his prioritizing the value of patriotism over everything else—or, as Beauvoir would say, his unconditional allegiance to the value of patriotism makes him a “serious man.” Ultimately, Creon’s reign is tested not by an outside army or natural disaster, but by his niece, Antigone. Antigone disobeys Creon’s orders because she believed no “mere mortal could override the gods” (Antigone 504). Her allegiance to the commands of the gods is stronger than her obedience to the dictates of any king. Creon cannot accept this disobedience. He flies into a rage and immediately condemns Antigone to the “the most barbaric death” as punishment for her disobedience (Antigone 546). Soon after, Haemon confronts Creon, telling him that public opinion sympathizes with Antigone. But Creon refuses to reconsider his condemnation in the face of the reasoned opposing views of Haemon, or even Thebes at large. Haemon berates Creon for this misstep in judgment, arguing, “whoever thinks that he alone possesses intelligence, the gift of eloquence, he and no one else…. Spread them open—you will find them empty” (Antigone 791-794). Haemon is explicitly acknowledging the importance of considering a plurality of opinions, yet Creon remains obstinate. He not only ignores the advice of his son, but also the warning signs of the gods and the prophecies of a seer. Creon incorrectly believes that “the city is the king’s,” and therefore feels that his position as king grants him the authority to make decisions without consulting others (Antigone 825). However, this refusal to compromise results in his downfall. The country spirals out of control as Creon’s own family turns against him. Without discernment, his actions have no rational basis and he falls into the trap of his own inflexible thoughtlessness. Creon—as well as all examples of the “serious man”—does not consistently partake in the practice of judgment. Thus, his decision to ignore Haemon and affirm his condemnation of Antigone is not freely willed. However, Creon demonstrates his capacity for free will through his later change of heart. In the face of insurmountable evidence of public support for Antigone, Creon admits though it’s “hard giving up the heart’s desire”—in this case, his passionate allegiance to patriotism—he “will do it” in an attempt to avert disaster (Antigone 1229-1230). Creon contradicts his earlier proclamation that Antigone’s disloyalty to the state necessitates her death. The turning point in Creon’s mind represents an important truth of will—having the capacity to choose between different alternatives also necessitates the capacity to change one’s mind. Even when we adhere to a strict value to achieve a certain goal (as does the “serious man”), we still possess the capability to change our minds at any point. Often, our will is seen as an intrinsic part of us that guides us to act in a way consistent with our innermost desires. However, this conception of will ignores the realities of our world. We are not acting as isolated beings in a constant environment, but rather we live in pluralistic communities amidst spontaneously changing circumstances. Human life necessitates interactions with others. Thus, if we want to make truly willed decisions, we must contemplate the situation at hand and consider how to best apply our principles. Judgment is not a strict adherence to moral values, but rather our ability to consider—and re-consider—our decisions in the face of a dynamic world. Arendt, Hannah. Between past and Future; Eight Exercises in Political Thought. New York: Penguin, 2006. Print. Beauvoir, Simone De. “Personal Freedom and Others.” The Ethics of Ambiguity. Trans. Bernard Frechtman. New York: Kensington, 1948. 35-73. Print. Bok, Hilary. “Want to Understand Free Will? Don’t Look to Neuroscience.” The Chronicle of Higher Education. N.p., n.d. Web. 10 Nov. 2014. http://chronicle.com/article/Hilary-Bok/131168/. Sophocles, Robert Fagles, and Bernard Knox. Antigone. The Three Theban Plays. Harmondsworth, Middlesex, England: Penguin, 1984. N. Print.